In almost all cases, the defective gene is passed from a parent. In very rare cases, the defect can be caused by a mutation. Symptoms of Marfan syndrome range from mild to severe. It can affect one or many parts of the body. Some symptoms may be evident at an early age. Others may develop later in life. Some symptoms may worsen with age. 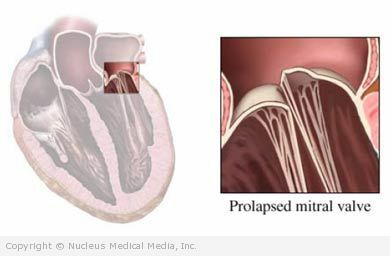 Mitral valve prolapse —can lead to leakage of the mitral valve or irregular heart rhythm.